Instead of plastics or Polycarbonate sheathing, This Nekteck Premium USBC cable features a unique high tensile nylon construction. The nylon fiber cloth is wound tightly around the cord lending it superior durability and adding a bit to its flexibility. Nylon as a fabric happens to be waterproof with a high stress quotient so this Nekteck cable ought to last really long. The Nekteck USBC to USBA Charge and Sync Cable is made with a durable aluminum molding plugs with enhanced strain relief. The stylish nylon cable will not fringe or cripple. 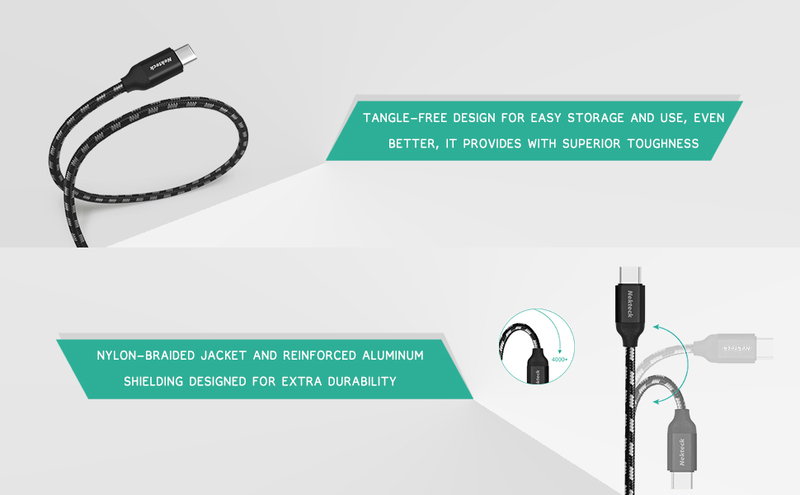 The cable is design to easily connect to your device even with a protective case. It is tangle free for easy storage and use. At over 3 feet in length you can easily connect the cable to charge and sync while freely using your device. 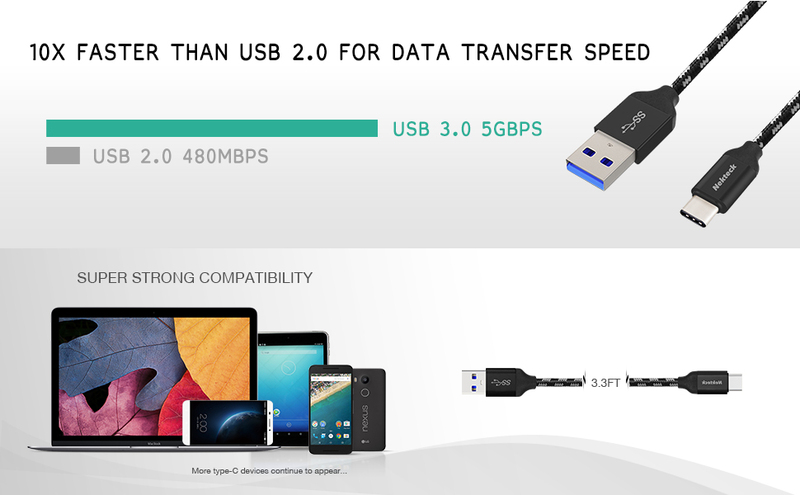 This high quality cable will charge and sync your device at full capacity.